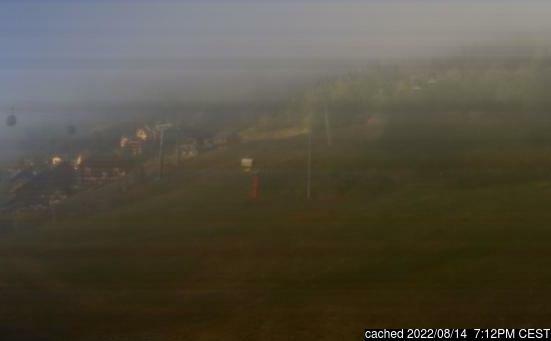 Is it snowing in Oz en Oisans ?Thank you! Issued: 1 pm 19 Apr 2019 (local time). The snow forecast for Oz en Oisans is: Light rain (total 7.0mm), mostly falling on Fri afternoon. Mild temperatures (max 7°C on Sat afternoon, min 2°C on Fri night). Wind will be generally light. Oz en Oisans Weather (Next 3 days): The snow forecast for Oz en Oisans is: Light rain (total 7.0mm), mostly falling on Fri afternoon. Mild temperatures (max 7°C on Sat afternoon, min 2°C on Fri night). Wind will be generally light. Oz en Oisans Weather (Days 4-6): Heavy rain (total 28.0mm), heaviest during Wed afternoon. Later becoming colder with a dusting of snow on Wed night. Mild temperatures (max 7°C on Mon afternoon, min 2°C on Wed night). Wind will be generally light. Heavy rain (total 28.0mm), heaviest during Wed afternoon. Later becoming colder with a dusting of snow on Wed night. Mild temperatures (max 7°C on Mon afternoon, min 2°C on Wed night). Wind will be generally light. Light rain (total 7.0mm), mostly falling on Fri afternoon. Mild temperatures (max 7°C on Sat afternoon, min 2°C on Fri night). Wind will be generally light. The above table gives the weather forecast for Oz en Oisans at the specific elevation of 2074 m. Our sophisticated weather models allow us to provide snow forecasts for the top, middle and bottom ski stations of Oz en Oisans. To access the weather forecasts for the other elevations, use the tab navigation above the table. For a wider view of the weather, check out the Weather Map of France. My family and I have been to this resort many times. We have 3 children aged 13,11 and 9. They have all learnt to ski at the ESF which is second to none. Small but quality selection of bars and restaurant, supermarket, bakery, a cheese shop. Lovely pedestrianised purpose-built resort (but with a very traditional feel). Excellent access to Alpes d'Huez Grande Domaine and contrary to other reports we have skied here at Easter and the snow is great due to the proximity to the glacier keeping temperatures lower than average. Oz stays open later in the season than many resorts because of this. Go, you won't regret it. The Oz en Oisans skiing weather widget below is available to embed on external websites free of charge. 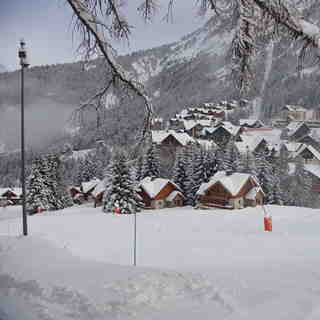 It provides a daily summary of our Oz en Oisans snow forecast and current weather conditions. Simply go to the feed configuration page and follow the 3 simple steps to grab the custom html code snippet and paste it into your own site. You can choose the snow forecast elevation (summit, mid-mountain or bottom lift) and metric/imperial units for the snow forecast feed to suit your own website…. Click here to get the code.